An Easy Beginning Method. Composed by Drew Giorgi. Guitar Method or Supplement; Method/Instruction. Blues. Book. 48 pages. Alfred Music #00-14972. Published by Alfred Music (AP.14972). 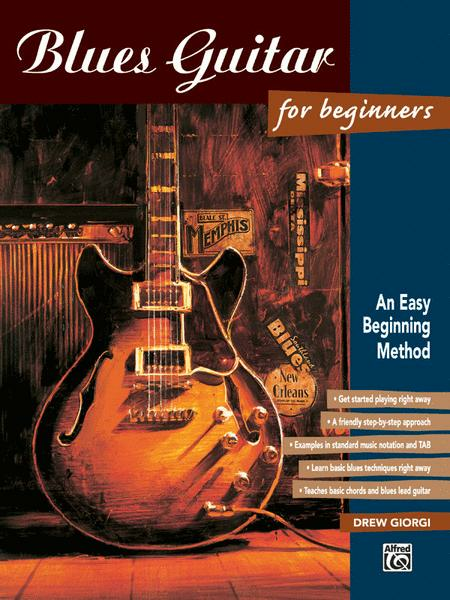 This book takes the beginning guitarist from the basics of buying their first guitar through the basic fundamentals of blues guitar techniques and blues lead guitar playing. It is written in a step-by-step manner that allows you to advance at your own pace. Tablature, photos, diagrams and drawings make new concepts or techniques easy to understand. Written by an outstanding performer and educator, this is the beginner's chance to study with the best. The CD demonstrates every example and provides play-along opportunities.